A Sourcing Company can be an invaluable partner when importing products from China. Or, they can be a useless middleman that offers nothing but delays and higher unit prices. This is not a regulated industry, so anyone can claim qualifications to manage product and supplier sourcing. In this article, you will learn what a sourcing company can do for you – and how much you should expect to pay them. In addition, we also list some of the leading sourcing companies in Mainland China and Hong Kong S.A.R. Why should I work with a Sourcing Company? The core function of a sourcing company is to identify qualified suppliers, based on the customer’s needs and technical requirements. There are no industry standards for how the supplier sourcing process is managed. Some Sourcing Companies have a more relationship-based approach, funneling customers to their existing supplier network. This can be a win-win for both you and the sourcing companies, assuming they select suppliers based on the product’s technical specifications – rather than the size of the kickbacks they receive. I’d say that most sourcing companies put kickbacks before selecting the supplier that is the most qualified to make a certain product. Most sourcing companies can do a lot more than just, well, sourcing products. For example, some can help you with factory audits, quality inspections, contracts, quality assurance and day to day administration. As said, there are no set industry standards, so you need to discuss this with your Sourcing Company. How do sourcing companies charge for their services? Previously, most sourcing companies charged a commission based on the order value. However, in recent years, more and more sourcing companies have adopted fixed pricing. Thus, they charge based on a per project or service basis, rather than a commission. Of course, the final cost depends on what exactly you want the sourcing company to do for you. If you’re looking for a sourcing company that offers a full range of sourcing services from supplier research to logistics, from product development to shipping, Imex is the right option. The company offers end to end sourcing, inspection and quality services, thus minimizing the efforts at your end. Ash Monga is the founder and CEO of Imex Sourcing, who worked as an e-commerce seller in the UK before moving to China and starting his own company. The head office of the parent company, IMEX Liaisons Group, is based in Guangzhou, China. Imex sourcing is among very few companies on our list that provide an access to a personalized online portal to its clients, where they can track the progress of their sourcing orders, making it easier for you to manage the process. This is again another great option for Amazon FBA, eBay sellers who are sourcing products from China. If you’re from the UK, USA, Canada, or France, you can deliver your products delivered to your doorsteps. They also offer customs clearance and logistics services both in China and your home country. Imex Sourcing also promises to get you a better price with a dedicated negotiation team and access to a network of ground-level factories that offer competitive prices but offer the same quality products as any other factory. 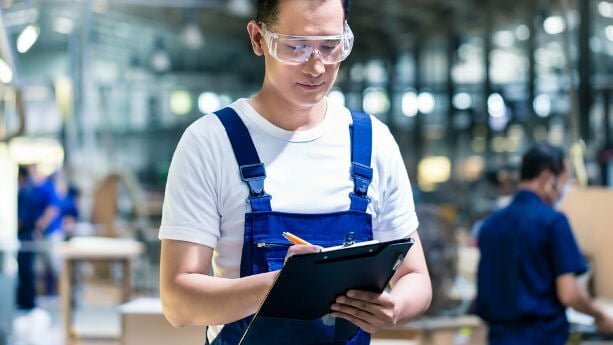 With services like factory audits, inspection, price verification, and compliance assurance, you don’t have to worry about the quality of the products while working with Imex Sourcing. Imex sourcing also received positive online feedback from their clients. Here is the quick list of the key services they offer. Recommended for: Medium and large businesses, engineering companies, eCommerce stores. Asaiaction Sourcing is a French-owned procurement agency based in Guangzhou, China. Originally focused on the home and furniture space, today Asiaction sourcing offer a wide range of product development and procurement services covering several industries. What makes Asiaction unique is that they also develop their own products, some of which have been picked up by Amazon Select. As such, the team behind Asiaction Sourcing brings a unique perspective to the market, from production to end customer. Few sourcing companies in China, or elsewhere, can make this claim. Recommended for: A good option for all importers looking for a dedicated team of experts that understand both ends of the supply chain, from sourcing to sale. 80/20 Sourcing is also more of an online resource for you if you want to source products from China. It is owned by Gary Huang, an American who is based in Shanghai, China. Gary is working and sourcing from China since 2008 for some of the top retailers from North America and Europe. In the last 9 years, he has hundreds of suppliers within his network in every industry that can help you source any product you want. Gary also has personal experience of sourcing products from China for his own Amazon and e-Bay business. Based on his own experiences with Chinese suppliers and Western importers, he now offers in-depth courses and sourcing services to people who want to source products from China. 80/20 company is mostly known for its courses and high-quality coaching material. In addition, Gary also works as a sourcing agent for Amazon sellers to help them source products from China. Recommended for: A good option for any business that is starting with their Amazon Seller or Ecommerce business. Gary not only works as your sourcing agent but also as a mentor which makes him a good fit for those who want a more personal connection with their Sourcing agent. Dragon Sourcing is an international sourcing and procurement service provider that offers sourcing services from emerging markets like China and Vietnam. It is one of the largest sourcing companies on our list, with its offices located all over the world, including France, United States, United Kingdom, Turkey, Brazil, Austria, Italy, South Africa, Kenya, and Vietnam. In China, their offices are based in Shanghai and Hong Kong. The head office of the company is also based in Shanghai. Dragon Sourcing also offers a full range of sourcing services, from supplier research to product development and shipping. It also provides you with an opportunity to also explore other Asian supply markets like Vietnam. With their global footprint, they can provide you with better options for low-cost country sourcing through their extensive network of suppliers. Their other prominent services also include supplier qualification, product sourcing, procurement sourcing, sample development, negotiation, order management, quality control, logistics, selection, and purchase, etc. The company was founded in 2004 in Shanghai, but within a decade, it extended its reach to all over Asia. Dragon Sourcing now provides European, Australian, and North American importers with an opportunity to source cheaper products from China with a minimum effort at their end. Dargon Sourcing is also well-reputed and recognized sourcing company with positive feedback from online clients. Recommended for: It’s recommended for medium and large businesses who want to work with a well recognized global sourcing company with a large network of suppliers. Unlike other China-based companies, Baysource Global is based in the US and its head office is situated in Tampa, Florida. It offers a wide range of services to mainly US clients (small-medium businesses) from contract manufacturing to sourcing services. The company acts as a China sourcing agent for US-based importers and buyers. It also outsources manufacturing. Baysource is another company that offers a complete set of sourcing services from product identification and supplier research to the development of products and delivery. The services offered by Baysource include sourcing, manufacturing, product supply chain, measuring strategies, procurement, product development, quality control, logistics, customs, and shipping. Baysource is best known for manufacturing outsourcing, but you can also use their services for sourcing products. It’s a good option for you if you’re a small business or an engineering company looking to outsource manufacturing. They have more than a decade of experience working in China, where their main office is situated in Shanghai. They currently have 35 employees, both in the US and China. Recommended for: It is a great option for US buyers (small and medium businesses, engineering companies) who are looking for an experienced and trustworthy sourcing company based in the US. LINC Sourcing is based in Europe with its head office situated in Sweden, but it also has offices in China, Spain, UK and Italy. Their office in China is based in Shanghai. With their strong presence in Europe, LINC Sourcing is a good option for European businesses who want a sourcing agent in China for their products. They also have a stable network of more than 100 quality suppliers from all industries, who are all verified and audited by the company. The company was founded in 1995 in Sweden by Lennart Rosell and Jenni Anderson in an effort to provide European businesses access to low-cost suppliers from Asia. With 90% of their employees working in their Shanghai office, the company’s main focus is sourcing from China. The services offered by Linc Sourcing include product sourcing, quality control, logistics, negotiation, and shipping. They also offer on-demand quality inspections for clients and a dedicated purchasing team for each client. Recommended for: European small and medium businesses looking for an established partner in China. Easy Imex is another international outsourcing company for medium and large businesses owned by Adam Gilbourne. Adam Gilbourne, born in the UK, and raised in Australia, moved to China in 2004 and established Easy Imex to help Australian, UK, US, and European businesses to source cheaper products from China. The company now acts as a one-stop import service and offers a wide range of services that include product sourcing, purchasing & negotiating, shipping & logistics, quality control, customs, tax duty, and factory audits and tours. Easy Imex also provides clients with an access to an online portal where they can keep track of the process. Recommended for: Medium and Small businesses from Australia, North America, UK, and Europe. Import Dojo is a well-known company owned by Manuel Becvar, from Austria. He moved to Hong Kong more than 10 years ago and worked for a sourcing company for 12 years before starting Importdojo.com. The head office of the Import Dojo is currently based in Kwai Chung, Hong Kong. During his professional career as the manager of a sourcing company in Hong Kong, he sourced products for many well-known retailers like OBI, Metro, Amazon, Sears, Wal-Mart, Home Depot and a few more. While working in China, he also learned about sourcing and importing process in China. Today, his company Importdojo.com offers sourcing services from Mainland China and Hong Kong S.A.R to hundreds of businesses in Europe and North America. They currently have a network of more than 2500 suppliers in almost all industries, allowing you to source almost any product you want. You also have an option to choose between multiple price packages with different features like feasibility check and similar add-ons. This way, you can have an option to choose between different prices based on your needs. The sourcing services also include product development and product sourcing. In addition, you can also hire a dedicated monthly sourcing agent, which is a good option for you if you’re looking for a full-time employee in China. Recommended for: If you are an Amazon seller who wants to source products from China, Importdojo.com could be the right option for you as it also coaches you through its courses. Do you want to manufacture your product in China or Vietnam? You can book a free consultation today to learn more. I’m currently looking for a chinese factory to quote the production of my idea, it will be of a great help for me. I’m discovering and learning many things to know about relationship with asian factories thanks to your awesome website ! have you checked out Noviland? So in total. Which company would be best of you need some R&D as well? Sourcing companies rarely manage R&D, in the sense that they develop products for you. They are not suitable for that kind of work. What kind of products you plan to develop? great content , thank you . does any of these companies ship samples , or do you recommend any others ? we need to order from different suppliers so we can decide the best option for us , and we have a list of products .. getting a sample from each supplier will be costly , thank you . We are currently looking the manufacturer to build our Fluidics Chips at the lowest cost. The facility must be having the capability on auto screen printing, dispensing, die or laser cutting and drying tunnel. Please directly contact me if you are interested on this project. Thank you. Thank you for this info. which of the sourcing company that you listed above will provide services like Asia Pacific Solutions? Interesting topic and accurate descriptions of each company. Of course, all companies can’t be listed. Asiaction Sourcing was founded in 2008 by two French entrepreneur who are living in China since 2005. Asiaction is more popular among French speakers, but the team is multilingual and handles other countries buyers operations as well. We are one of biggest factories in Vietnam Specialized in manufacturing and exporting Bamboo Dinnerares and Home Decor Items. Pls do not heistate to contact us if you hava any inquiries. Where in Vietnam are you based? We would like to write an article about your company, as we are researching manufacturing alternatives in Vietnam. I looking for a sorcing agent, im in Tanzania. Great article, we are excited that Baysource Global was featured for the 2nd year in a row! Would you be able to link to our website in the article? it seems all the sourcing companies are sourcing for clients out side China. is there any sourcing agent which can source specific products? we are doing wrting tablet by the way. Any good sourcing company to recommend for such type of products? Most sourcing agencies are not specialized in one single product category. That said, most of these companies can also help Chinese companies to identify suppliers if that’s what you refer to. hello, I am looking for a sourcing company in China. Thank you! You mentioned some good references & got some good names of China sourcing companies. How do you know who to trust with out wasting money, but mostly time. Surely there is one standout, honest company. First of all, it’s impossible for any company, especially in something as complex as sourcing and manufacturing, to have a 100% perfect track record. Second, anyone can file a report on these websites, and the company can’t do much to prove that they are right. This report may be accurate, or it’s not. That said, we are not affiliated with Easy Imex, but they have been around for a long time and are well established.